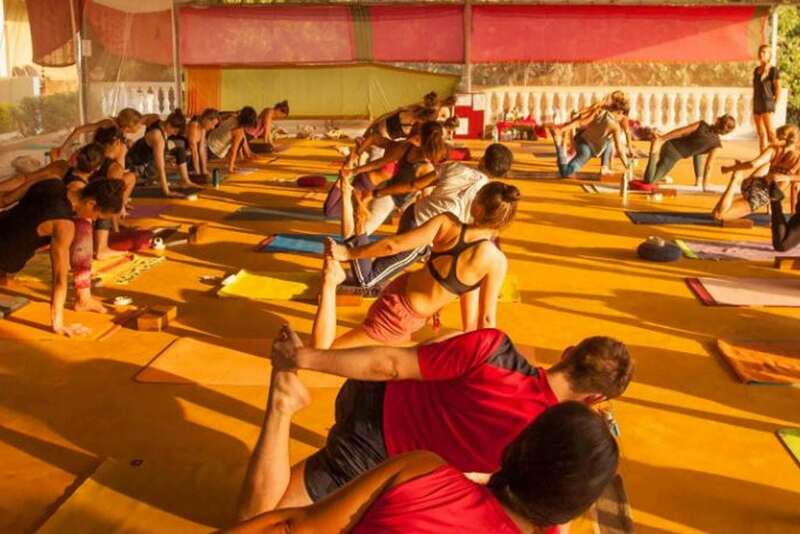 Our 200-hour Ashtanga Vinyasa Yoga Teacher Training course is an intensive program designed to give you the knowledge, skills and confidence to teach classes based on the Ashtanga Primary Series and Vinyasa Flow style. Your teacher training journey with us is as much about deepening your own practice and individuality as it is about gaining the skills to teach others. We passionately believe in the significance of your own journey of discovery and experience on the development of your unique personal voice and style as a teacher. Our 200-hour Yoga Teacher Training course is based on the eight limbs of Ashtanga yoga, not just on the Asana practice. There is a lot of emphasis placed on Yamas, Niyamas, Pranayama, concentration, meditation techniques and mindfulness too. 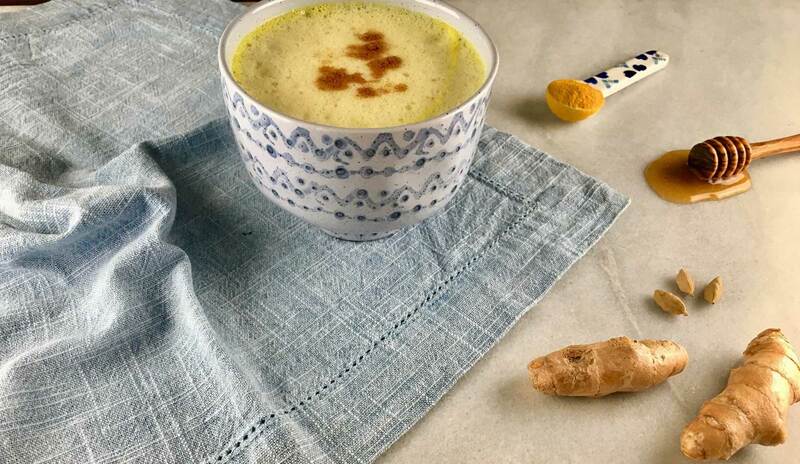 This comprehensive curriculum also covers Yoga philosophy based on the Yoga Sutras, yogic lifestyle and ethics, yogic diet, anatomy and physiology for yoga teachers and practitioners, among other topics related to the practice of cultivating a balanced life. We are unorthodox and open in our approach towards yoga. We strongly encourage you to bring your own creativity, intuition and spiritual experiences into your teaching styles. We don’t follow any religion or schema in our courses. At the end of the course you will be ready to practice the Ashtanga Yoga Primary Series as self-practice, to teach classes based on this style of yoga, and also to create your own Vinyasa flow sequences with various themes. You will also have the benefit of exposure to other styles of asana practice, including Yin and restorative yoga, in order to develop your experience and knowledge of other yoga traditions and styles during the course. Learn to teach and to practice a broad range of yoga asanas. Experience how to draw on the physical, emotional, energetic and spiritual benefits of yoga asanas. Learn the appropriate and correct alignments for each individual. Explore the modifications and variations of the most common asanas. Learn and practice the art of hands-on-adjustment. Understand the basic concepts of functional anatomy applied to yoga practice. Experience and practice different pranayama and meditation techniques. Our functional anatomy classes ensure an understanding of the key muscles and bones involved in asana practice and their associated health benefits and contraindications. Substantial emphasis is placed on analytic training, muscular and skeletal anatomy, individual limitations and differences. The specially designed practical anatomy classes are the back bone of the alignment classes. 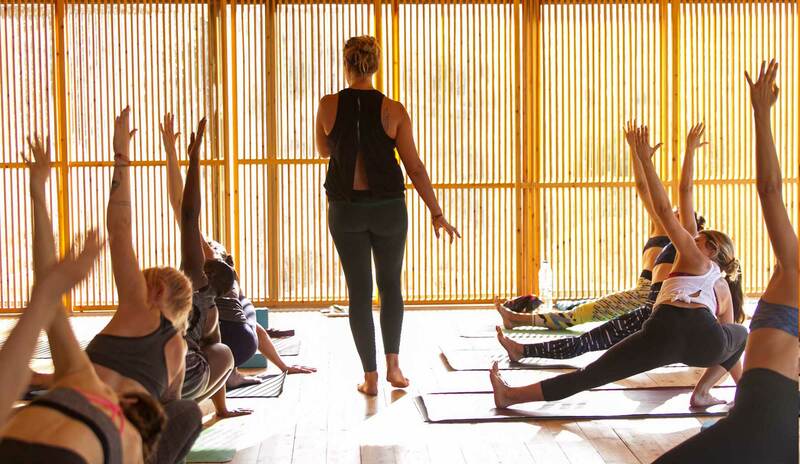 Our 200-hour Yoga Teacher Training course will help you to deepen your connection with your inner being, your emotions, feelings and thoughts. This process will enable you to teach from your heart and from personal experience rather than just from memory and words. Our Yoga Teacher Training program is a practical training course designed to help you to become a confident and effective Yoga teacher for all level of students. 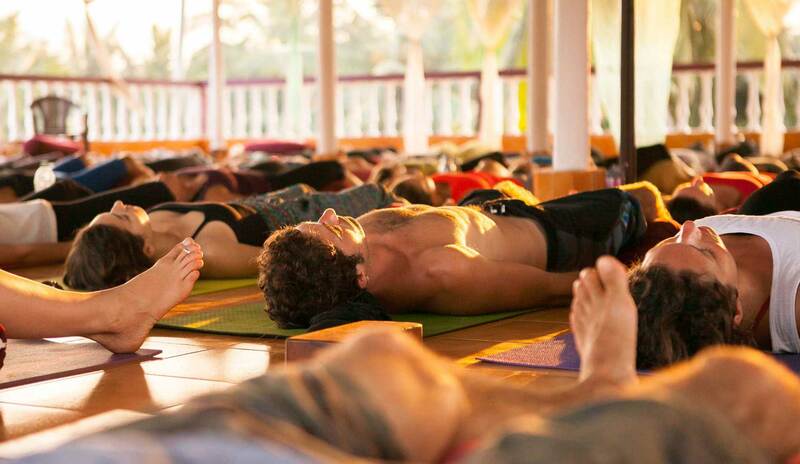 By the end of the course you will be able to teach mixed-level open yoga class confidently. Since we offer you a practical approach, there will be lots of opportunities for you to teach. From day one, you will start teaching one-on-one and then progress to teaching larger groups towards the end of the course. You will learn the principles of sequencing in order to create Vinyasa Flow sequences based on a chosen theme. There will be lots of guidance on how to improve and enhance your teaching skills and how to plan and structure a class. You will also have regular opportunities to practice hands-on adjustments during classes, supervised by your teacher and supported by the assistant teachers. You have been practicing yoga -intensively and continuously- and want to move to the next level. You want to learn how to get harmony between body, mind and soul. You want to deepen your personal asana and meditation practice. You want to learn and practice in a compassionate and non-competitive yet challenging environment. Are looking for a comprehensive, safe, well/structured, anatomically precise yet intuitive approach. You wish to explore the subtler and deeper level of awareness. You have a strong desire and urge to share this art of living with others. You are ready to learn yoga beyond asanas. 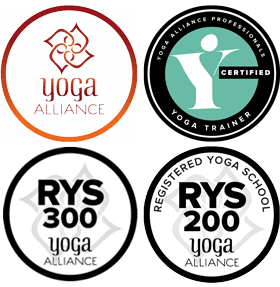 You will receive a 200-hour certification eligible to be registered with Yoga Alliance Professionals UK and Yoga Alliance US. Sudhir Ponugupati (Sudhir Rishi) is the lead teacher and course director for the 200 hour teacher trainings. Being a lead teacher he is responsible for seventy percent of teaching. He is into the field of Yoga, Meditation, Philosophy and Ayurveda consistently for the last 23 years. He also lived as a Monk for 8 years. He has taught around 50 x batches of 200hr and 300hr YTTCs, teaching a few thousand students from all over the world. Ashtanga Yoga: Introduction to and history of the Ashtanga Yoga Primary Series and the four elements of Ashtanga yoga; Vinyasa, Ujjayi Breath, Bandhas and Dhristi. You will practice the Primary Series three times a week. Vinyasa flow: Dynamic flows practiced four to five times a week, principles of sequencing, designing and teaching Vinyasa Flow classes. Other styles of Yoga: You will also get to practice other styles of yoga such as; partner yoga, yin and restorative yoga, during the course. 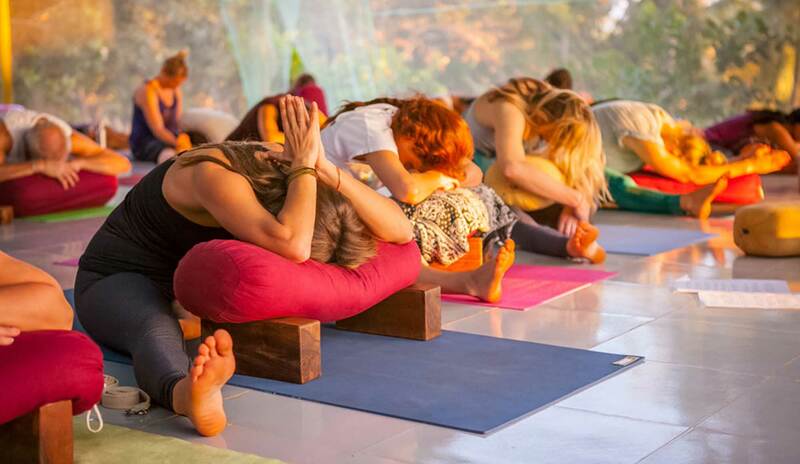 During the first two weeks of the course, you will receive a daily two-hour workshop focused on alignment and adjustment techniques for the main postures of the Ashtanga Yoga primary series and a few other more advance postures. This workshops will also include modifications, advance variations, adequate use of props, postures clinics (arm balances, backbends, inversions, among others), and regular hands-on adjustments practice. You will start to teach from the very beginning of the course and will teach at least seven times during the entire course, starting from one–on-one format to teach larger groups towards the end. You will receive feedback from your teachers and your classmates as well, to help you to improve and to find your unique voice and style as a teacher. During our course, you will learn about principles of demonstration, observing, assisting and correcting, verbal instructions, teaching styles, the qualities of a teacher, voice projection, floor presence, planning and structuring a class, alignment and hands-on-adjustment, dealing with injuries and safety precautions, business aspects of teaching yoga, ethics and much more. You will learn and practice different breathing and meditation techniques every day throughout the complete course. You will receive around fourteen classes on yoga philosophy. Ten are mandatory and the other four, also known as Satsangs, are optional. 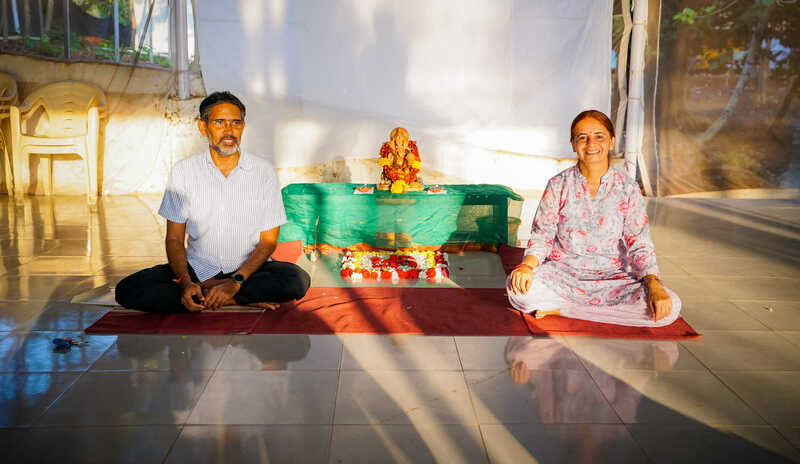 Satsangs are open and interactive philosophy classes where you are free to ask questions related to spirituality, meditation or any other enquiry related to your spiritual quest. Application of anatomical principles to yoga practice (mechanics of yoga asana, its benefits and contraindications, healthy patterns of movement, etc). Study of different regions of the body: The foot, knee, hips, spine, and shoulder. 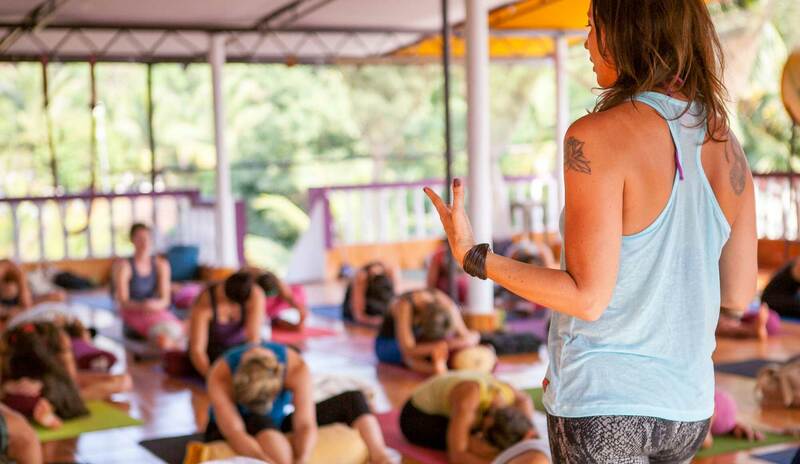 In this class, your teachers will guide you through how to develop your career as a yoga teacher, setting up your own studio, school or retreat center, marketing strategies, advertising and PR, ethics in yoga business, building network with other yoga teachers, schools, studios and retreats, among other topics related. *Saturdays: Classes will finish at 6.00 pm, Sundays off.